If there is one thing that I love more than makeup…its FOOD. So when I got an invitation from Foodpanda.in about a food based blogger’s meet I said yes without giving it a second thought. Foodpanda.in is a the brainchild of a small team of problem solvers, designers, thinkers and tinkers, working around the clock to make ordering food should an easy, fast and definitely fun experience. 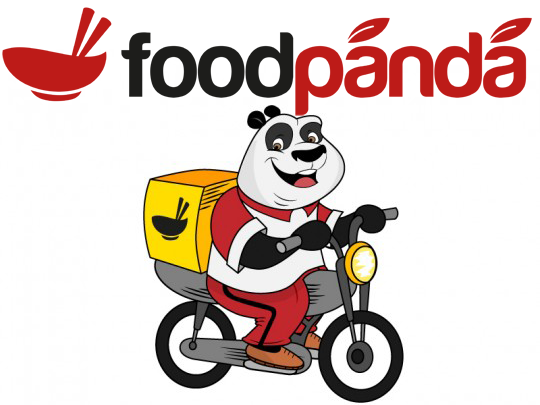 Foodpanda has online menus from the staggering selection of delivery restaurants . All you need to do is to enter your post code and search for cuisine type, restaurants or even price range. The restaurant index also includes address and delivery hours. The highlight of the invitation was the fact that we were going to try Bihari Cuisine. If you have been staying in North India for too long you would know how we tend to associate North Indian food to just Dal Makhani and Butter Chicken so you can imagine my surprise when I see that there is a place in Delhi serving something different. 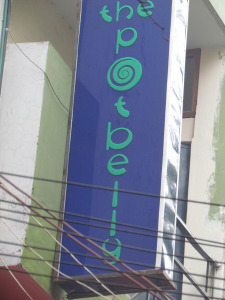 The venue of the event was The Potbelly Rooftop Cafe, a small restaurant near Hauz Khas. Reaching the venue was a little bit of challenge as it is quite inside the Shahpur Jat area but thankfully I met a few people on the way who gave me the correct direction and I found my self at the venue in no time. Its not really a typical rooftop restaurant as it has roof and walls with french windows that make it a hall kind of a thing. The ambience is quite casual while the decor is simple yet very chic decor. We were welcomed by the Foodpanda team and a very tasty Thandai followed by a quick session of introduction with the other bloggers present there. This was followed by a formal introduction to the website, its concept and how it works. We were then asked to order the food we wanted to try at Potbelly through the foodpanda website. I was really impressed by the site interface. The process to order food through the website is pretty simple and very convenient. We also helped ourselves with Madhubani Thali ( multicolored puris with potato curry), Pudina Chicken Pulao, Golmirch Chicken Platter(Chicken cooked in cream and pepper served with lachcha parantha), Sarso Machhli ( Mustard based fish curry served with rice), Baggia Basket ( potato, lentils and spices filled in rice flour packets) and Khada Masala Mutton ( Mutton in spicy gravy served with rice and boondi raita) . My favorite were the Sarso Machhli and Khada Masala Mutton. The Sarso Machhli had the perfect balance of flavor that usually lacks in fish based dishes that I have tried at other places. The meat was typically what we Bengali’s call Kosha Mangsho. The gravy was thick, had whole spices and though it may not look like it from the picture but it was not to oily. In case any of you ever visit this cafe you should definitely try it. The thing that I really appreciated about this event was that the restaurant owner and the staff put in a lot of effort to attend us. As I have already mentioned that I did not know much about Bihari Cuisine so I had a lot of question and I really bugged Pooja, the owner who was very sweet and not to forget very patient. She also suggested alot of things that we tried which turned out to pretty good.